19 September 2018ñ "The Faint" is photographed at their band space on 26th and Farnam. 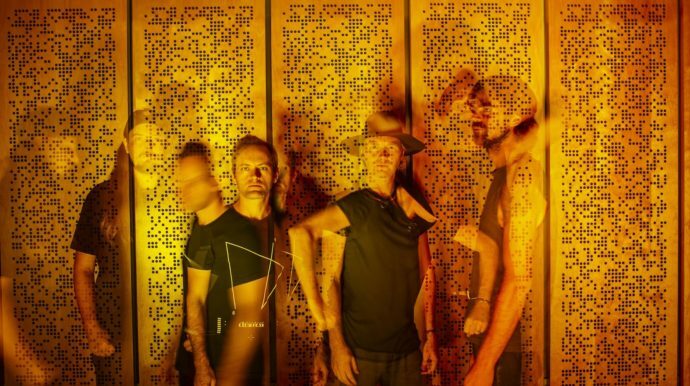 With running synth-bass and driving drums, the Faint return with a new single, “Alien Angel.” The track sees the band turn away from the electro-punk which has categorized their last few albums and find a brooding darkwave sound. The song will appear on the band’s upcoming album, Egowerk which will be released on March 15 on Saddle Creek. The new single comes with the announcement of full US tour dates which you can see below.